The elegant memorial plaque dedication is a distinguished, reverent way of paying respect and tribute to the memories of our dear departed loved ones. Plaques are now available for $360.00. This fee includes an annual notification of upcoming Yahrzeits, and the illumination of memorial lights on the board during the month of the Yahrzeit perpetually and at times when yizkor is recited. 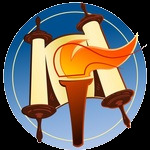 Recital of Kaddish and Mishnayos in Israel each year on the date of Yahrzeit. Recital of Kaddish and Mishnayos in Israel everyday for the first year, and perpetual recital of Kaddish and Mishnayos each year on the date of Yahrzeit. 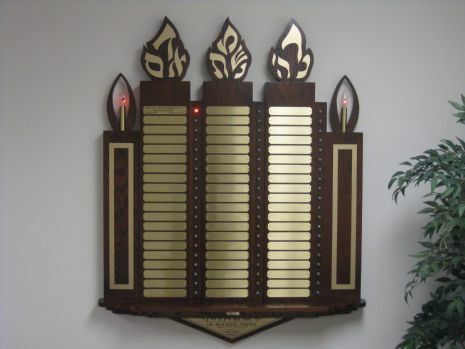 Please submit one form for each memorial plaque!